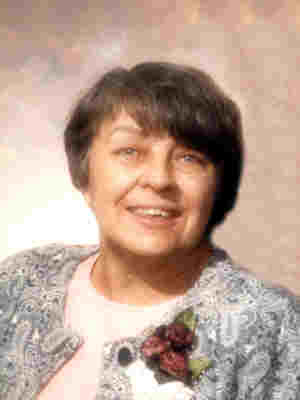 2007 at her home after a long illness. 4 to 8 p.m. and also for one hour prior to the service on Friday. aunts, Helen Wanous of Elysian and Harriet Fuller of Spring Grove, MO. Jr.; and one son, Verlyle Marik. I met Mary Ann (Micky) in about 1955. She went to Faribault High School for a short time but we became friends. The first time we met she was sitting behind me in church. I think it was Tuesday School (Weekday chirch school). She giggled because I was so tall and the person I was sitting next to was so short. She did not go to school in Faribault for long but we wrote back and forth for a long time. I ended up moving south Owatonna, about 2 or 3 mile from her, in 1960 and I had a daughter between her two oldest girls. One time Micky and I and our three girls went to town. We had all three girls in their red baseball jackets and all with very short hair in one stroller. We were asked if they were triplet boys. I always liked Micky and wish we had kept in touch over the years. Now it is too late but I will always hold those memories in a special place. Shelly - I am very sorry to hear of your mom's passing. I still remember how nice she was when you and I were in country school together many years ago. You will be in our thoughts and prayers. lmmmom@lakes.com ~I am very sorry to hear of MaryAnn's passing...you are in our thoughts and prayers during this difficult time to give you strength and peace! lmmmom@lakes.com ~I want you and all your family how sad I am to hear of Mikki's passing. She has to be in a better place without pain and suffering now! Dorothy said that MaryAnn wrote a letter and sent a card when our dear Sandy died in January, what a lovely letter it was. I really wanted to be able to go to the wake or the funeral but I work at the Hoilday Inn at the front desk on Thursday night for 4+ hours and I take care of all 7 grandchildren during the week. The youngest are the only boys and they are 2 years and 3 months. efkjandro@charter.net I met and became friends with Maryann, while working with her at Cedarview Nursing Home. Very sorry to hear of her passing.